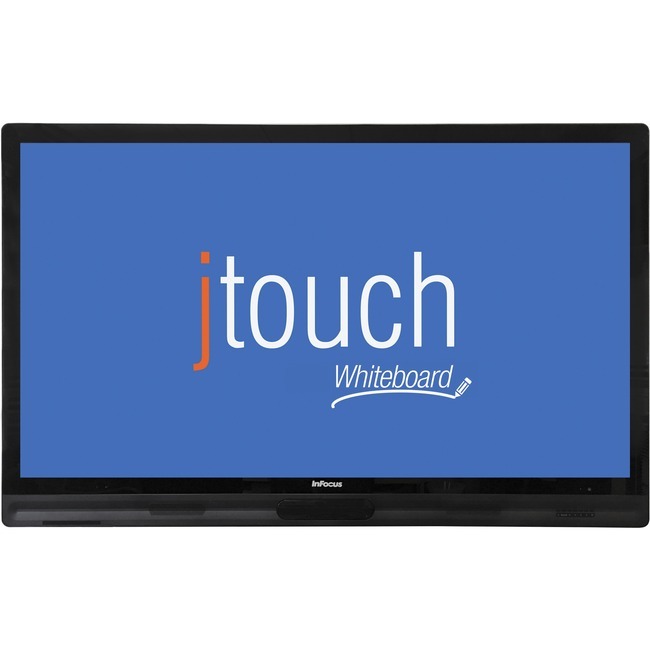 The 65" JTouch Interactive Display with LightCast technology makes presentations, instruction, and group work in K-12 classrooms more dynamic and engaging. Connect and share content from nearly any device, browse the web, and view documents on a bright, colorful, and interactive HD touch display that fits your school's budget. Whether you're in a classroom, a boardroom, or at a trade show, the interactivity of JTouch engages audiences and encourages participation. JTouch gets students involved, attracts customers and provides a great medium for presenting touch-enabled applications. Display your PC, Mac, or Chromebook via HDMI, VGA, or component video, then control it from the display via touch. Just enable touch from the computer via USB, and extend the reach of your computer's USB ports with the easily accessible USB ports on the display. Adding the LightCast Key lets you easily connect and share content from nearly any computer or mobile device. You'll make meetings, lessons, and teamwork more efficient, engaging, and easy. Access your favorite online content with a built-in web browser, and view or present documents, videos, and photos from the JTouch.